Wandering Surfer Photography | Explore. Create. Inspire. Jason Shanahan is a local photographer specializing in family portraits, professional headshots, and real estate photography. He uses state of the art equipment and a number of techniques to capture your images for you. Whether you are here for a family reunion or a short weekend getaway, call today and let Jason help you create a beautiful lasting memory of your time here! Are you a professional, a realtor listing a property, or someone looking for new headshots for your portfolio? Give our office a call today and Jason can bring the studio to you. 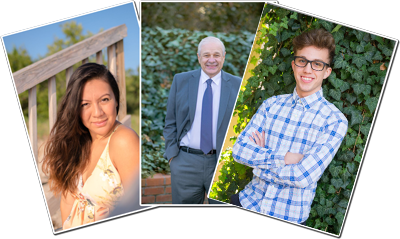 With a mobile headshot studio which can be set up in any office or conference room, Jason is able to get your new photos taken quickly and in practically any location! As an affiliate member of the Coastal Carolina Association of Realtors, Jason can be trusted to bring to life clean looking real estate photos including FAA certified drone photography. Looking for a walkthrough video? Yep, he does that too! There are plenty of reasons to hire a professional photographer, let me show you why Wandering Surfer Studios is the choice for you! People often ask, "Why did you become a photographer? ", and to be honest, well, it’s a long story. Jason was great to work with! Very laid back and did well with my children. The pictures are beautiful and fast turn around on edited images. Would definitely recommend to others!